Dr. Joel Zivot, an anesthesiologist at Emory University, recently witnessed an execution in Georgia and wrote about the presence of two physicians during the lethal injection he observed. He quoted the Medical Practice Act describing the role of doctors as those "engaged in the diagnosis or treatment of disease, defects, or injuries of human beings." However, he noted, "Life is not a disease, defect, or injury. Nothing in the Medical Practice Act authorizes a physician to cure someone of his life." 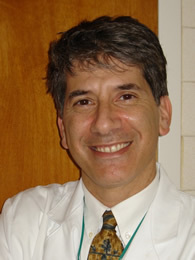 Dr. Zivot attributed the lack of oversight regarding the doctors' participation to Georgia's secrecy law, which shields the identity of all execution participants: "In Georgia, and in other states that have secrecy laws, medical boards are usurped and the state now authorizes what behavior constitutes acceptable medical practice. This cannot be permitted. If the state prevents the board from regulating certain doctors, public health can be undermined in secret. If the state has the power to immunize physicians from oversight of their peers and colleagues, they have a terrible power to pervert the delivery of healthcare for some bureaucrat's idea of the public good. It is a horrific precedent that can be abused, even with the best of intentions." During the execution, the participation of doctors was highlighted when a corrections official fainted during the execution. Zivot asked, "I wonder why neither of them has come to the aid of the unconscious officer....Did the doctors overseeing the execution have qualms about helping someone stay alive if it meant leaving their post that required them to monitor the killing of the inmate? Did a grotesque conflict arise in this unlikely circumstance between their interest and their duty?" (J. Zivot, "The White Coat: A Veil for State Killing?," MedPage Today, August 17, 2014). See Lethal Injection and New Voices.